Juniors born in 1999 may also compete in the Senior event in addition to the Junior group. In the above case, an additional online entry and fee should be submitted. Kyorugi is contested in two WTF Para-Classes, K40 for athletes with upper limb deficiency and K60 for deaf/hearing impaired athletes. In the case of insufficient numbers of athletes, classes and divisions may be combined. Classification of para athletes will take place on the Saturday morning during the weigh-in. 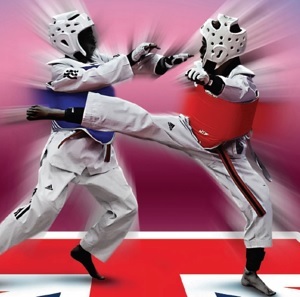 The competition will take place under WTF Para Taekwondo rules & regulations. In line with ETU policy, all competitors in the Senior Advanced Category must have a valid GAL card. Any competitor entered into the Senior Advanced category, who is not in possession of a valid GAL card will not be allowed to compete under any circumstances. Any member who needs to apply for a GAL card, should do so at the latest by 31st July 2016. Membership Services, The Business Place, Park Road, Mansfield Woodhouse, Nottinghamshire NG19 8ER. Weight categories may be combined if less than 4 athletes enter a single division. MATCHES WILL BE 3 X 2 MINUTE ROUNDS – FOR JUNIOR & SENIOR CATEGORIES. An additional online entry and fee should be submitted. All seeded groups shall have 4 seeded players, those being the top 4 ranked players in each weight group of the player league as at September 11th 2016. Daedo Electronic Body Protector systems will be used for all athletes competing in Senior Advanced, Junior Advanced, Cadet Advanced, Child Advanced and Veteran categories. These athletes must bring their own Daedo socks.